If negotiated expertly, a loan modification could convert your interest rate from a floating to a fixed rate. Not only does a loan modification free you from the binds of a cancerous mortgage, but a loan modification will also solidify the value of your money versus the mortgage. A loan modification may also reduce the principal rate as well as the late fees and associated penalties (consequences of late or missed payments). Even the length of the loan term can be adjusted with a loan modification. Considering the alternatives, a loan modification is the ideal resolution to an otherwise dire strait. However, just because a loan modification has spared you the expense of an inflated mortgage, it is a common oversight to leave the taxman out of the equation. The same money that the adeptly executed loan modification had just saved you will be viewed as taxable income by the IRS/State. You will be forced to fill and file Form 1099 in order to forfeit a considerable chunk of your forgiven debt to taxes. Essentially, your loan modification pulled you two steps back from the ledge only to be nudged one step closer by the taxman. Most people would probably be satisfied with medial gains; however, with the consultation of a qualified tax professional, you can maximize the full potential of your loan modification. There is a form that allows you to seek exemption from your loan relief debts resultant of a loan modification. It is not a secret. Such forms do exist. You just have to know where to look. It is titled Form 982 and this is but one of the many tactics the tax professionals at Tax Group Center can employ to help you realize the full potential of your loan modification. A loan modification will help you keep your home; an experienced tax professional will help you keep most if not all of the money you just saved. 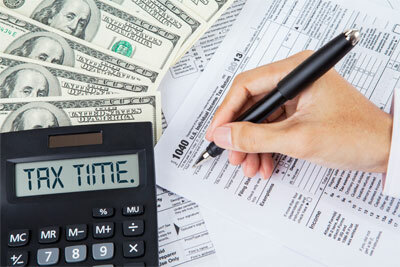 Contact Tax Group Center to speak with a tax consultant today! Tax Group Center lnc. © 2017. All Right Reserved.